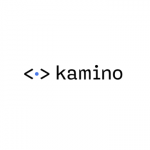 At Zemanta we’re building the most advanced native advertising platform in the world. Marketing agencies love our dashboard – they use it to run native advertising campaigns that reach millions of people every month. Offering them the tools they need to be successful is our main priority, so we are expanding our engineering team to take our platform to the next level. In July 2017 Zemanta joined Outbrain (the world’s largest content recommendation company) on their mission to help anybody discover great content. We’re looking for a versatile software engineer to help us scale our modern user-facing dashboard and supporting services. Your main focus will be on delivering new features that matter to customers. To achieve this, you’ll take ownership over features and collaborate with product managers and other engineers through all stages of feature development. What it’s like to be an engineer at Zemanta? We solve hard problems: like processing 200k bid requests per second efficiently, keeping thousands of advertising campaigns in sync across multiple 3rd party systems, managing a database with billions of entries and 100k qps, and extracting statistics from terabytes of daily raw data to display them in a nice UI table with thousands of editable rows. We build things that matter to our users: Engineers work closely with our Customer Success team to understand how our customers use our product. This helps us make better decisions when building new features. We care about quality: We don’t just want things done, we want them done right. We cannot imagine life without continuous integration, one-click automated deployments, code reviews, technical specs, architecture design reviews and unit tests. We find beauty in simple and elegant solutions and flexible architectures. We push people out of their comfort zone: If you want to grow, you’ll get all the responsibility you can handle. Our engineers take full ownership over projects, which includes everything from defining a solution with product managers, planning, architectural design, implementation, testing, deployment and maintenance. If this sounds overwhelming, don’t worry – you’ll get plenty of support from more experienced members of the team. We are a small team with global impact: Since joining Outbrain we’ve become a part of a global engineering team, which opens up lots of new opportunities for us. We collaborate with engineers and product managers based in Tel Aviv on a daily basis. That said, we’re still Zemanta – a closely-knit team with distinctive identity. We constantly try to improve: We share knowledge through internal weekly tech talks, postmortems, code reviews, blog posts and meetup talks. Good knowledge of modern frontend and/or backend development, relational databases, basic data structures and most common design patterns. Ability to write clean, maintainable, well-tested production code. A strong desire to learn and grow as a member of a talented engineering team. You lean towards simple and effective solutions and are allergic to over-engineering. You set very high standards for yourself and you are constantly improving your skills. We expect you to like working with people – you’ll be doing that a lot. You are a reliable, trustworthy person that keeps their promises and takes responsibility for their actions. Having experience with our stack is a plus, but not mandatory – we value talent, strong fundamentals and dedication to excellence more than the tools you’ve used. Not from Ljubljana? No problem – if you’re the right person for the job, we will help you with your relocation. At Zemanta, we're building the most advanced native advertising platform in the world. Marketing agencies love our dashboard - they use it to run native advertising campaigns that can spend hundreds of thousands of dollars per month. Offering them the tools they need to be successful is our main priority, so we are expanding our team to take our platform to the next level. 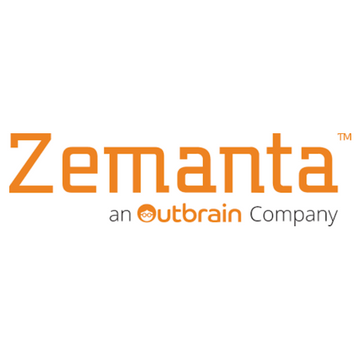 Zemanta recently joined Outbrain, the largest native advertising company in the world, on their mission of enabling everyone to discover great content. Organisation Internet Week Slovenia was launched in October 2013. Since then we became the caretakers of the calendar of entrepreneurial events and jobs, the dispatchers of the weekly goings on newsletter, and the real time announcers of thing worth noticing … all in order to spread the awareness of the vibrant and very prosperous local scene.